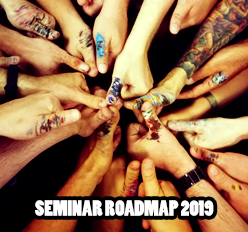 normally we don't post updates about our current Indiegogo campaign here on the blog, but this one is more important than the other updates so far. while we work in the background to make you get your rewards as fast as possible, you can help us now by giving us all the details and fill out the surveys we are sending right now. We decided to work together with the professional team of BackerKit to give you a smooth and comfortable way of dealing with all the details. With the invite code our backers received via mail (check your mails! ), you can edit your shipping adress, choose the shirt size you want (if you got a shirt), edit which goodies you want to have for your pledged amount and - most important for us, give us details about the shipping. You will see it is very easy and self-explanatory. The faster you fill out the survey, the better for everyone. We will get exact numbers of how many items we need and we can start getting everything to our storage and send it to you! If you are experiencing problems, feel free to contact us anytime! Be aware that the Stretch Goals from the campaign are not included in the Pre-order version of the Ultimate Paint Rack - those were included only for our Backers to show our biiiig gratitude! If you pledged for the campaign, we would be happy to see the Pre-Order link shared on Facebook or other media - Maybe you have a friend or two who missed the campaign here on Indiegogo. We will keep you updated about the status of BackerKit and any further progress of the campaign! Im just wondering how easily this paint rack would go on a wall ? I like the idea of the paint rack but i dont have the deepest desk and so wall mounting would make this a lot better for me. What do you guys think ? I had the idea in the very beginning and with this design it's no problem to make it wall-mountable. Just drill two holes in the back plate and two screws in the wall. And ta-da: you can put it on your wall. With this, sure we'll Keep on Happy Painting !! i only backed the carrystrip. as there is no such option in the manager i choosed "t-shirt" for shipping calculating. when updated the credit amount i had yo pay in dollars. now i git an email that i should has been euros. how should i deal with that? the dollar thing seems to be general problem thats why i am posting here. It should display the correct amount. As a backer of this great project I just pledged for a jungle shirt and I thought that there would be multiple shirt designs to chose from. I just started to fill in the Pledge Manager and I did not find the option to chose a design, just the size and style. Will I now get the black shirt with the fluo green paintsplatter (which looks very cool btw) or did I just miss something in de PM? Thank you for supporting us. Unfortanetly we did not manage to unlock different shirt designs during the campaign due the amount of people who ordered a shirt. We have to tell you that you will recieve the black shirt with the paintsplatter in your size. Hey guys where can I order a paint rack. Not yet. It is not available to public yet! When will it be available to public? 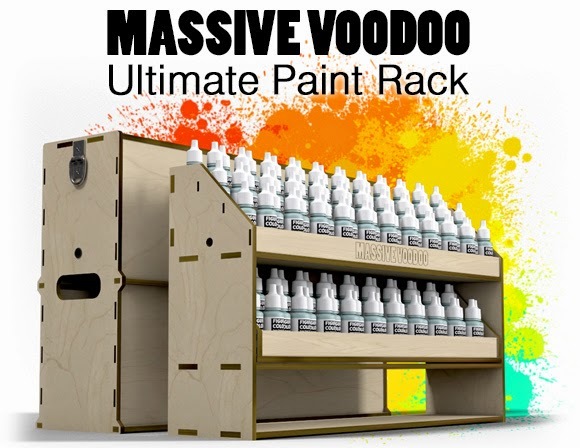 Hey Mirko, please write to picster(at)massivevoodoo.com for further information, he is the project manager on the Paint Racks. Could you release some more info? Hey Jannick, the reason why you get no answer from him is that he is on his honeymoon right now. I can not help you any further as he is the full operator on the Paint Rack Products. Pls ask him again in about two weeks or wait for his answer after his return.